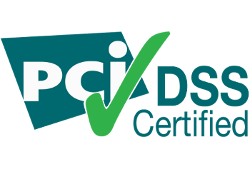 All our data centres are certified to PCI Data Security Standards. Catalyst is the first cloud provider to address NZ Government requirements for cloud security. The Government Chief Information Officer (GCIO) provides guidance to New Zealand Government agencies on how to assess the information security and privacy risks of cloud computing. Catalyst has published a document that addresses the security and privacy risks outlined by GCIO, providing clarity and confidence to agencies to migrate or develop new systems using the Catalyst Cloud. Service providers will disclose important details about their Cloud products and services, enabling customers to make informed decisions about the use of the services. Catalyst is a signatory of the CloudCode and discloses information about the Catalyst Cloud as required. The following paper describes some of the controls in place to mitigate the risk of DDoS attacks and provide additional information on what you can do to further protect your cloud applications.